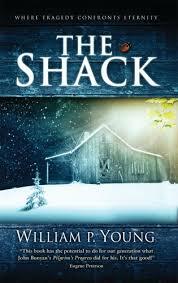 I recently read "The Shack" by William P. Young. This is currently the #1 most popular Christian book on Amazon, and the 13th top-selling book on the whole site. I wrote a review for the guy who asked me to read it. If you're interested, email me. Otherwise, I recommend the review by a guy in Oakville, ON named Tim Challies (a top-500 reviewer). Tim's review--here--is currently ranked #1 because so many found it helpful. Didn't you find Tim's review slightly one-sided and somewhat like he missed the whole idea of the book? Besides misinterpreting much of what the book said as being 'dodgy' (even though it has a pretty solid biblical basis (the shack, not necessarily Tim's review)? It's strange, because so many people found it useful - but it seems many of those that did, didn't bother to read the book.. There are other reviews that offer a better, less biased review. I'm interested to hear how you found it... I found it to be life changing and a revelation into the relationship of the Godhead. this review I think is closer to what the shack is about.